These trips are open to all of you out there who are trying to make the world a decent place to live, and who sometimes get burnt out by your efforts. These are opportunities to gather with others for an immersive wilderness experience that is designed to refresh and encourage. Types of wilderness activities, duration, and degree of immersion will vary from trip to trip. But all of these trips will provide space to enjoy the life-giving rhythms and listen for the whispers of wisdom that result from encounters with wild nature. Join us for some canoeing and camping along the iconic West Branch Penobscot River in Maine! Join us for some backpacking in New Hampshire and a day of canoeing on the Androscoggin River in Maine! 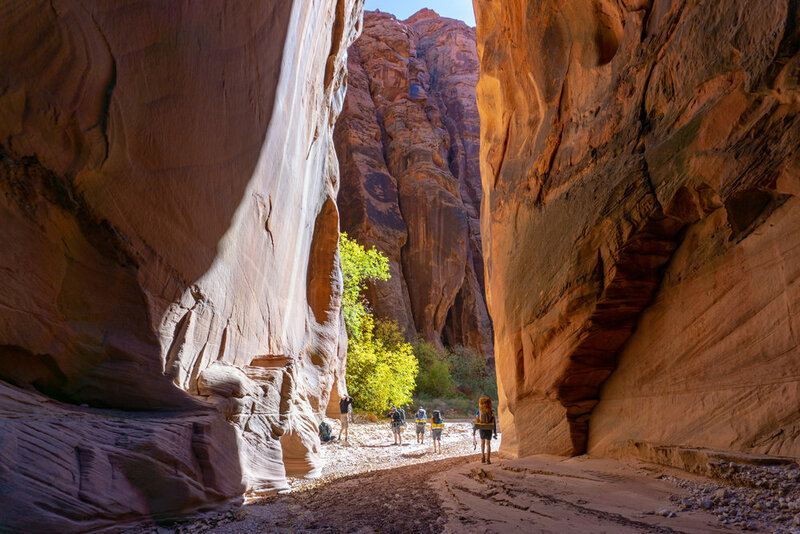 Join us for some backpacking and camping in the Paria Canyon-Vermilion Cliffs Wilderness in Utah & Arizona!